Hello! Fabulous! The pattern will be available for sale really soon. Don't worry, I'll keep you posted! I made this one too because it went so quickly! I finally cut into my Recess layer cake and made this quilt top! No more precious Recess! The pattern is from Cluck Cluck Sew called Easy Bake. I forgot there were only 40 pieces in that layer cake so instead of a 6x7 layout I had planned, I had to go with 6x6. 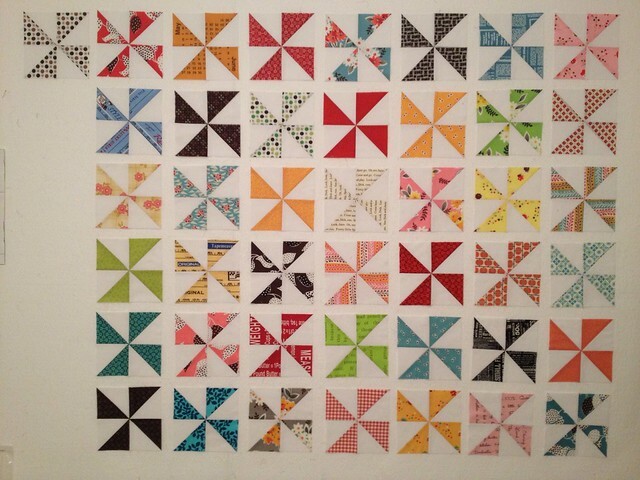 Yes, I could have done 5x8, but I don't like narrow quilts. 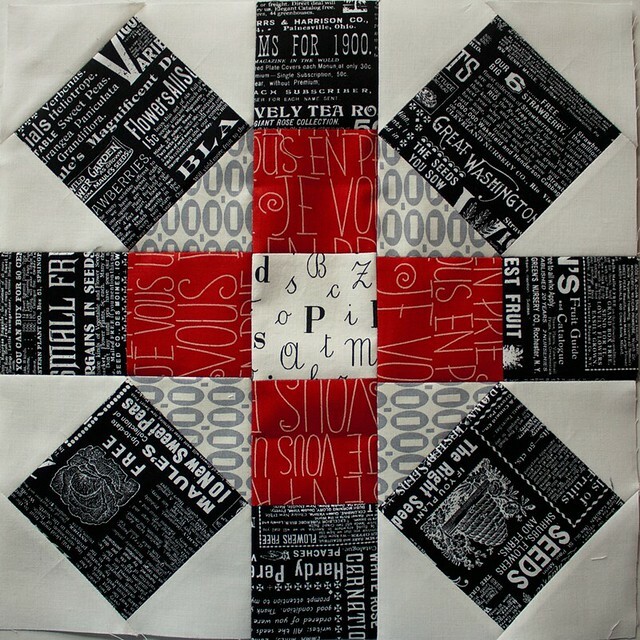 I'm not narrow so why would I make a narrow quilt? :) I had thought about keeping this one, but my oldest kid told me it looked "crazy nuts" so I guess it will go in the shop when it's done. I can make a matching pillow with my 4 left over blocks too! I was thinking of making a custom appliquéd pillow for whoever bought the quilt. The blocks that are left are the light colored ones so a bright red or navy monogram would look super cute. Ok, just thinking out loud there. 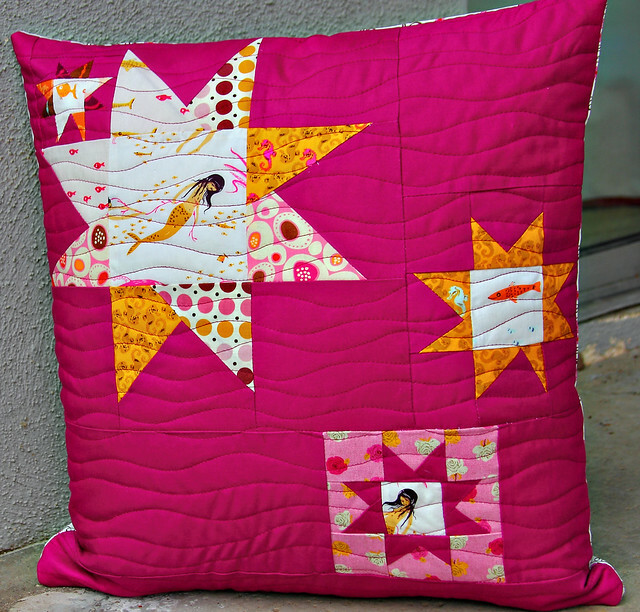 and I know we're all drooling over Amy's quilt! Those bags are beyond fabulous!! I'll have to keep my eye out for that pattern! 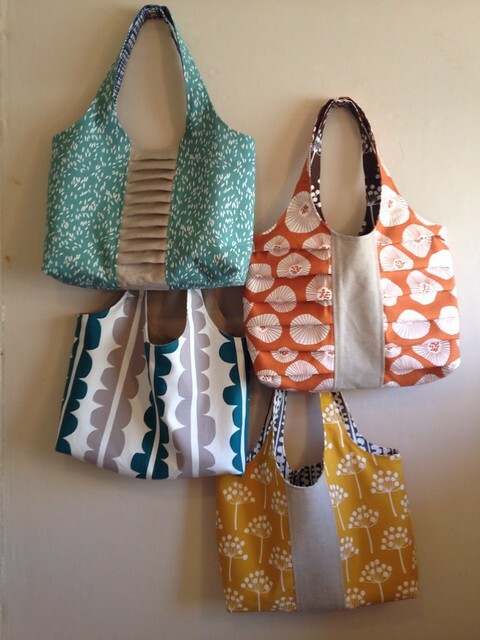 I want that first bag SO much that I might actually be forced to buy the same fabric and copyKat. Train slowing down? Surely not, the husband and kids are there to pack, right? ;o) Have fun on your girls weekend! Your quilt looks awesome! And I think it must be a boy thing. My roommate thinks all American Jane looks crazy nuts. I must have several quilts I've made from the FQB I had. Enjoy it and snuggle with it!! THAT will be a fun weekend - try not to get TOO crazy in the new house! 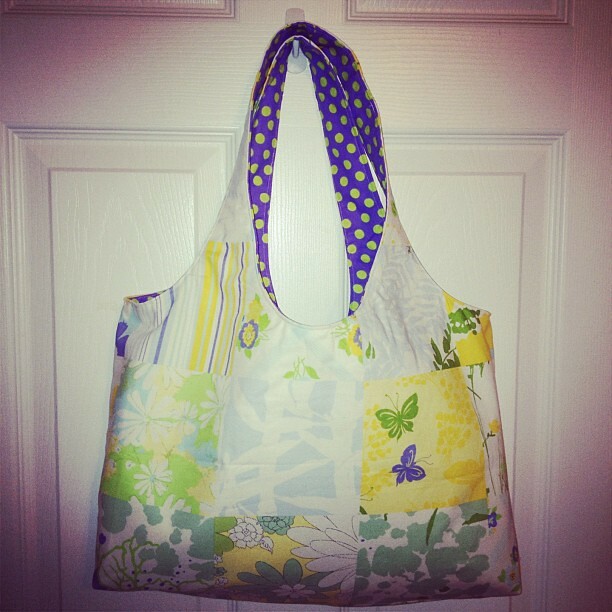 Saw Ali's bag on Thursday and now after seeing yours I am even MORE ready for Michelle to release that pattern!! Thanks for doing those Kelly! They look amazing!! I'm sooo upset I can be there next weekend :-(. I hope y'all have fun!! Love your bags, so wish I was hanging with you girls next weekend! 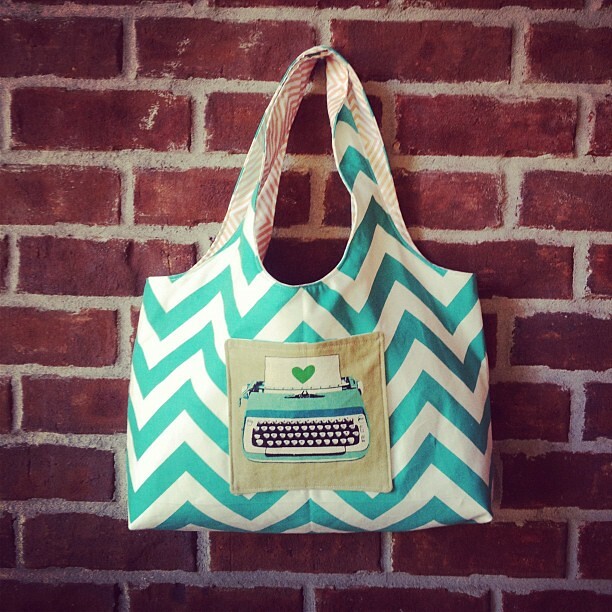 cute bags! (that sounds a little dirty...) i really love that bag though and i can't wait for the pattern to be out. i want it! 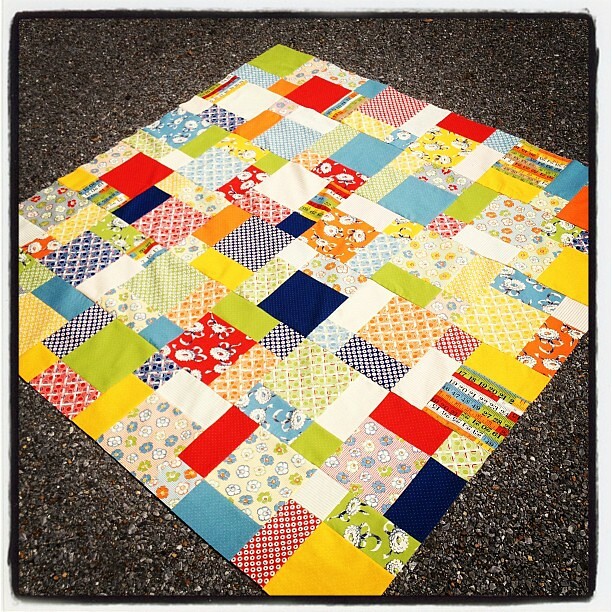 your recess quilt top is so great! i think it looks crazy great! so cute!! what is the cute typewriter print from that I keep seeing? 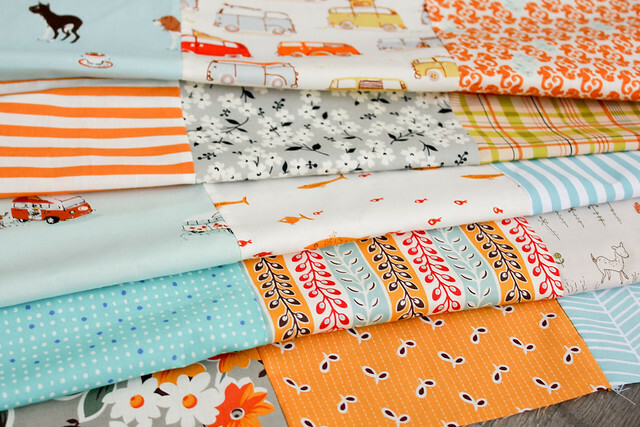 PS, this is my first visit to your blog and I am excited to join the QAL.